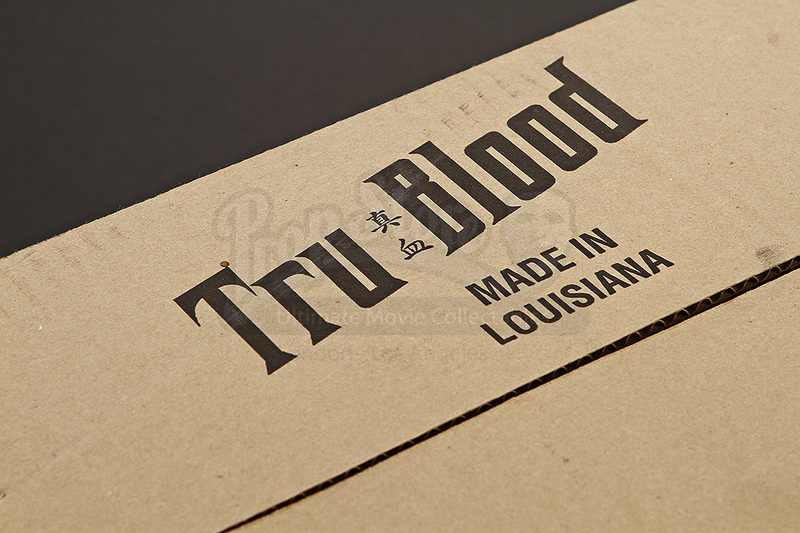 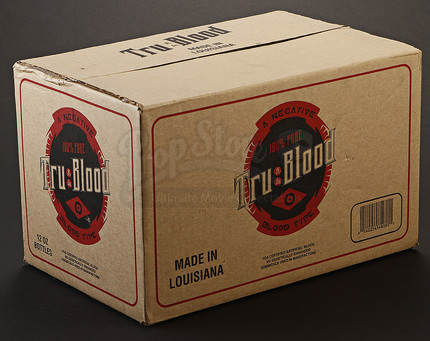 An empty Tru Blood case used in production of the fantasy drama television series True Blood. 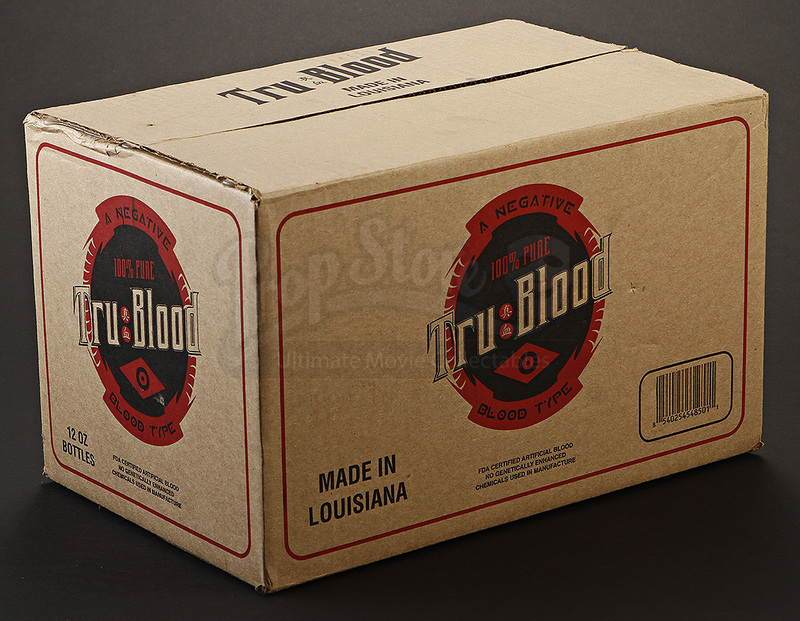 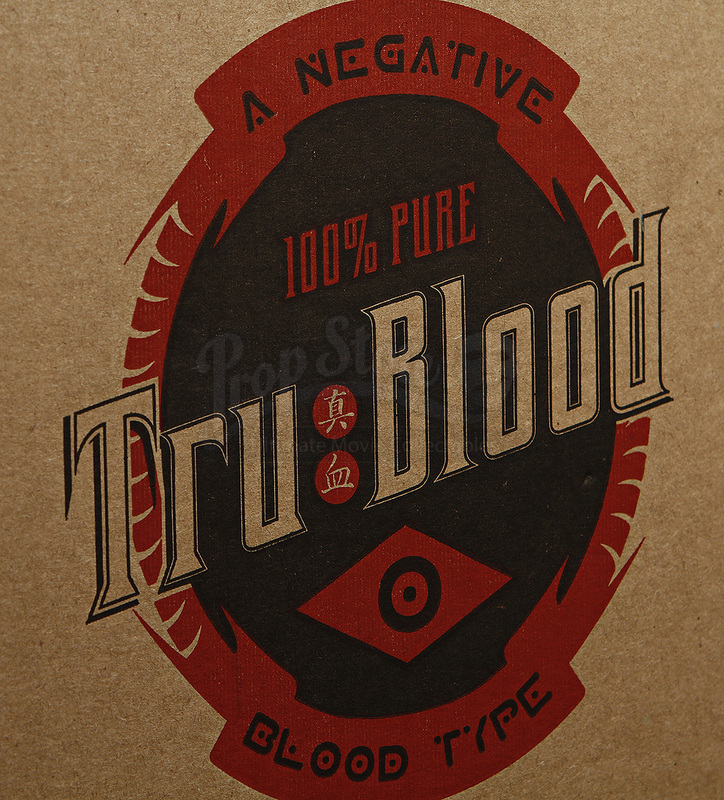 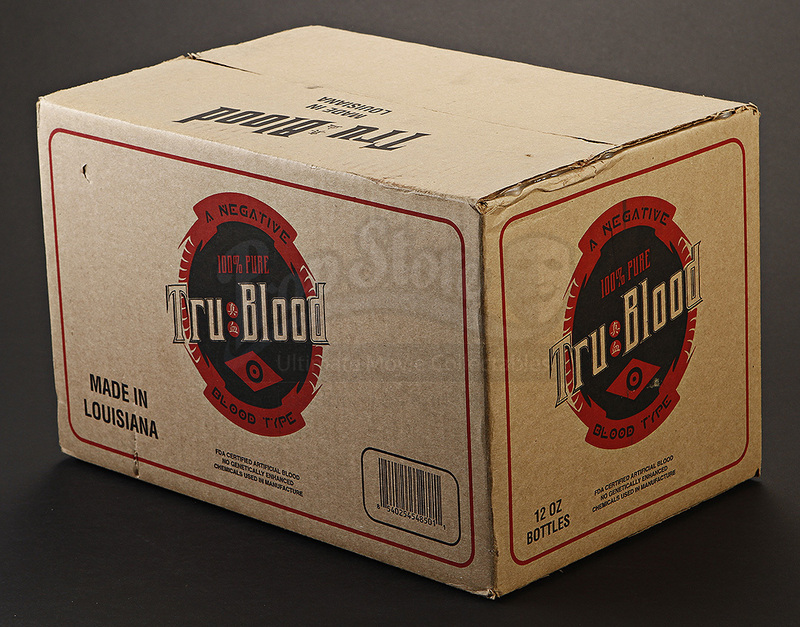 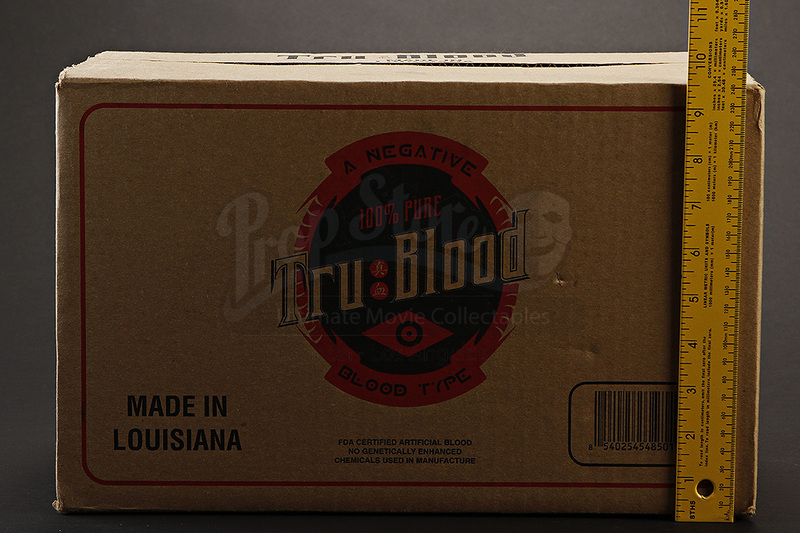 Boxes such as this can be seen throughout the series and would contain Tru Blood, a synthetic blood manufactured as an alternative blood source for vampires. 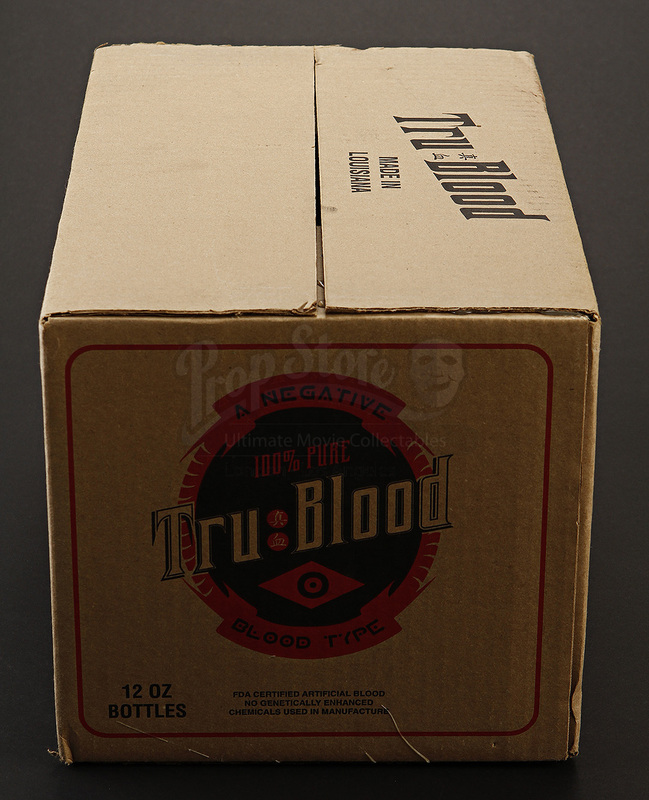 There are some minor dents and scuffs along the edges as well as two slight perforations on one side, however this item remains in overall very good used condition.